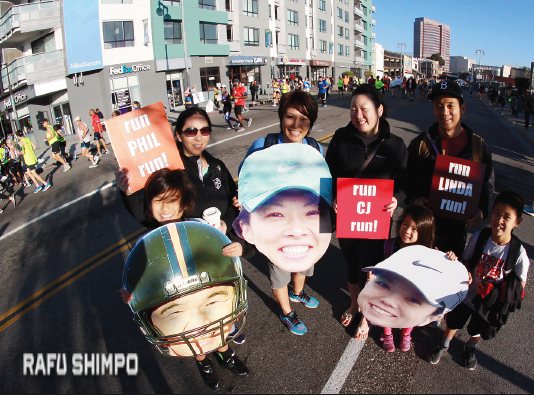 The 2016 Los Angeles Marathon was held on Feb. 14 with 24,495 entries from all 50 states and 62 countries. The 26-mile, 385-yard course started at Dodger Stadium and ended at Ocean Avenue and Santa Monica Boulevard in Santa Monica. The winner in the men’s division was Weldon Kirui of Kenya (2:13:07); the winner in the women’s division was Nataliya Lehonkova of Ukraine (2:30:42). Above: Runners make their way through Little Tokyo, taking a right on Central Avenue from First Street. Maceo Hernandez and East L.A. Taiko (below) provided rhythmic encouragement. 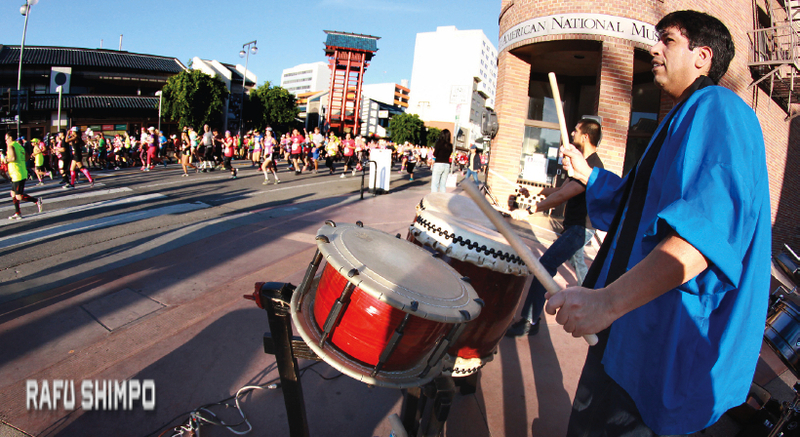 The marathon included six entertainment centers with 50 bands. 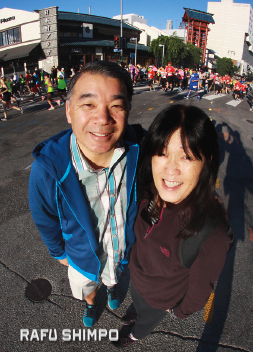 There was plenty of cheering from family and friends, including Terry and Gayle Hara (right), on hand to support their son, Mark, who was among the runners. 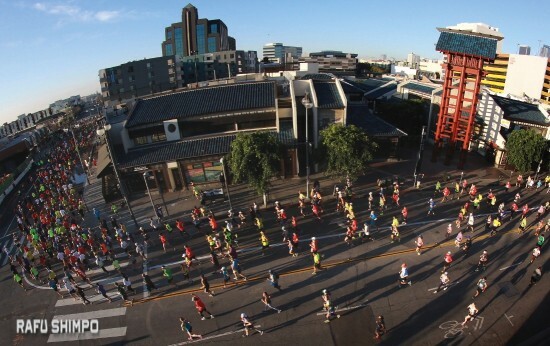 This was the 31st annual marathon, with 157 runners who participated in all 30 previous races, and the seventh consecutive year for the “Stadium to the Sea” course. It was also the first time the race was held on Valentine’s Day, and stage was set up at Hollywood Boulevard and Vine Street with 36 couples getting remarried or renewing their vows during the race. Organizers also expected a record number of finish-line proposals. Participant shirts, bibs and medals had a Valentine’s Day theme.